What is needed to respond to Internet crime? What can you do to detect and prevent online crime? 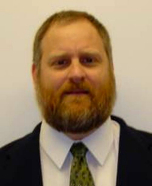 Todd G. Shipley is a retired Detective Sergeant with over 30 years of law enforcement and civilian experience performing and teaching Internet and digital forensic investigations, speaking internationally, has authored books and articles in the field and holds the Patent for Online Evidence Collection. Todd G. Shipley, retired Detective Sergeant with over 30 years of law enforcement and civilian experience performing and teaching Internet and digital forensic investigations. Art Bowker (@Computerpo) has over 28 years experience in law enforcement and corrections. His first book, The Cybercrime Handbook for Community Corrections: Managing Risk in the 21st Century, describes the process of supervising cyber-offenders. 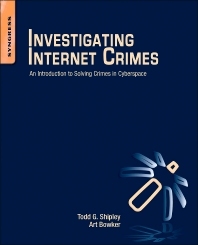 Bowker cowrote his second book, Investigating Internet Crimes, 1st Edition: An Introduction to Solving Crimes in Cyberspace, with Todd Shipley. His second book provides step-by-step instructions for investigating Internet crimes, including locating, interpreting, understanding, collecting, and documenting online electronic evidence to benefit investigations. Besides his two books he has written numerous law enforcement and corrections articles published by Perspectives, an American Probation and Parole Association (APPA) publication , Federal Probation, and the FBI Law Enforcement Bulletin. On January 14, 2013, Bowker was awarded the APPA Sam Houston State University Award, for work in promoting awareness and knowledge of cybercrime and tools to combat such crimes in the field of community corrections. On November 22, 2013, he was recognized by the Federal Probation and Pretrial Officers Association (FPPOA) with their top honor, the Richard F. Doyle Award, for having made the most significant achievement in, or contribution to, the Federal Probation & Pretrial Services System or the broader field of corrections. Additionally, Bowker received the Thomas E. Gahl, Line Officer of the Year Award (Great Lakes Region Award), which is named in honor of the only U.S. Probation Officer killed in the line of duty. Both awards centered on his contributions and efforts in managing cybercrime risk. Art Bowker, an award winning author, has over 27 years experience in law enforcement/corrections and is recognized as an expert in managing cyber-risk in offender populations.